Grow your passion for the spiritual formation of children with a degree in children's ministry. Our respected, experienced faculty will guide you in your understanding of intergenerational ministry and spiritual development. Take Greek or Hebrew and deepen your understanding of the Scriptures. Or choose another language that will aid you as you work with children in diverse settings. With help from leaders in children’s ministry, you'll strengthen your ministry skills with a biblical and theological foundation. Your competency in curriculum evaluation will evolve; your confidence will also rise as you go deeper in your research and studies. When you graduate, you'll be ready to serve as a spiritual leader to the young. With this expertise, you'll be able to choose where you want to serve children next. This major will strengthen your biblical/theological foundation and ministry skills, including the competence needed for serving families. 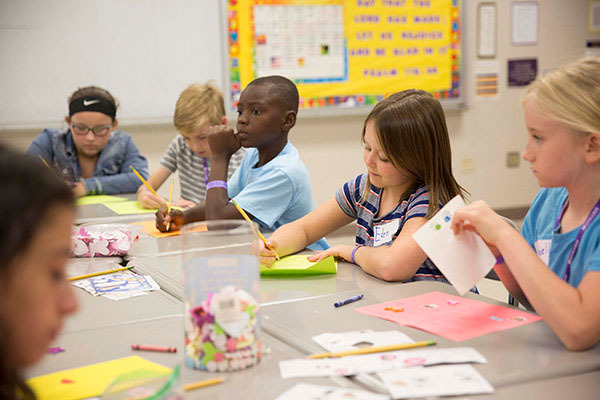 You’ll be given a service opportunity where you can work with refugee children after school. You’ll get to work one-on-one with a child two hours a week, and then as a class evaluate the impact of this experience. You’ll connect those findings to research around resilience in children from difficult backgrounds. There will also be an assignment where, after evaluating published curriculum theologically, developmentally, and pedagogically, you’ll get to write your own curriculum set. Research project to expand on research initiated in "Nurturing Spiritual Development in Children"